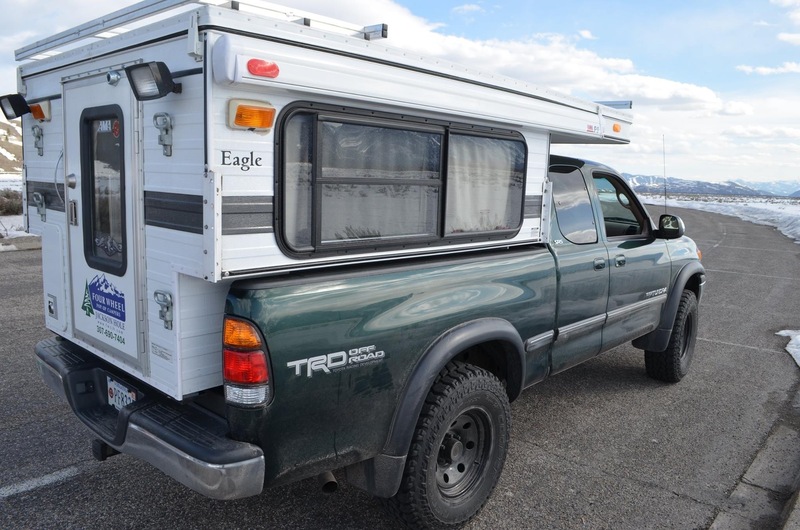 Since the budget always speaks, we decided on a used 2002 Toyota Tundra and were very lucky to find a used (in excellent condition) Four Wheel Camper. Suspension: Front Icon coilover and rear Icon piggyback shocks. Camburg UCA’s. Icon diff drop kit. Rear leaf springs (custom by Deaver). Firestone Ride-rite air bags with Daystar cradles (to complement leaf springs). All the things we were looking for in a home we found in a Four Wheel Camper. The aluminum frame makes this camper light weight and sturdy with a low profile while down yet pops up to 6’4. Made for off road. 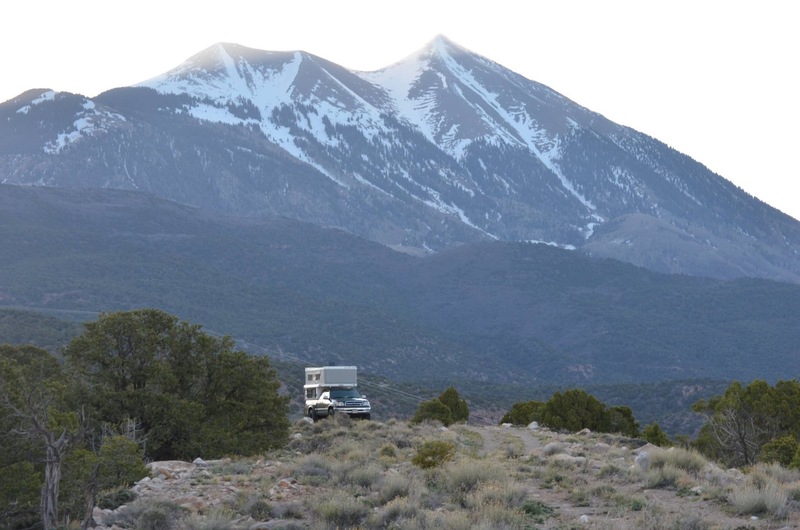 Easy to set up and complete with a queen size bed, fridge, 2 burner stove, couch, storage, solar and awning. These campers are not easy to find out east! 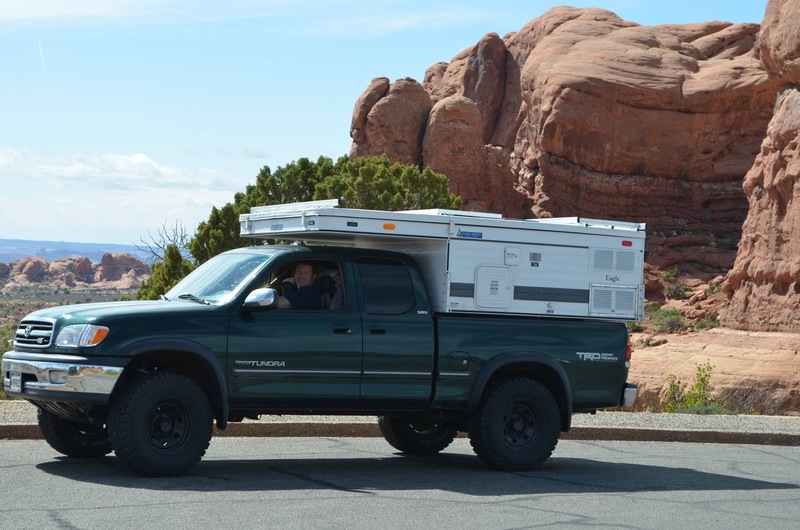 We purchased a used 2008 Eagle from craigslist (in South Dakota) but then had it shipped to the FWC Dealer in Jackson Hole, Wyoming to have a complete inspection, added the arctic pack and installed the camper onto our truck. This was all made possible with the help of Denny Saunders from the Four Wheel Campers in Jackson Hole who went out of his way to answer all of our questions (we had tons), helped us with the shipping logistics and got our camper ready to go.